This emphasis is seen in two of his projects, Playing Body Player as well as in the visuals for Owarhythm Benkai. 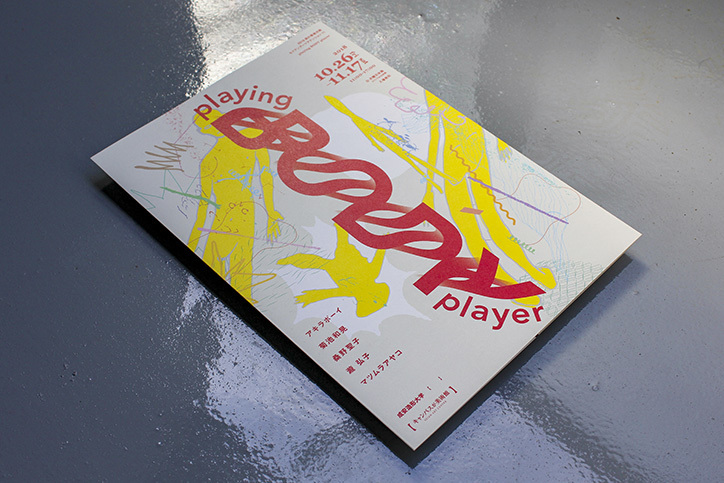 Firstly, Playing Body Player is the visual identity for an exhibition of the same title organised by Seijo University of Art and Design. 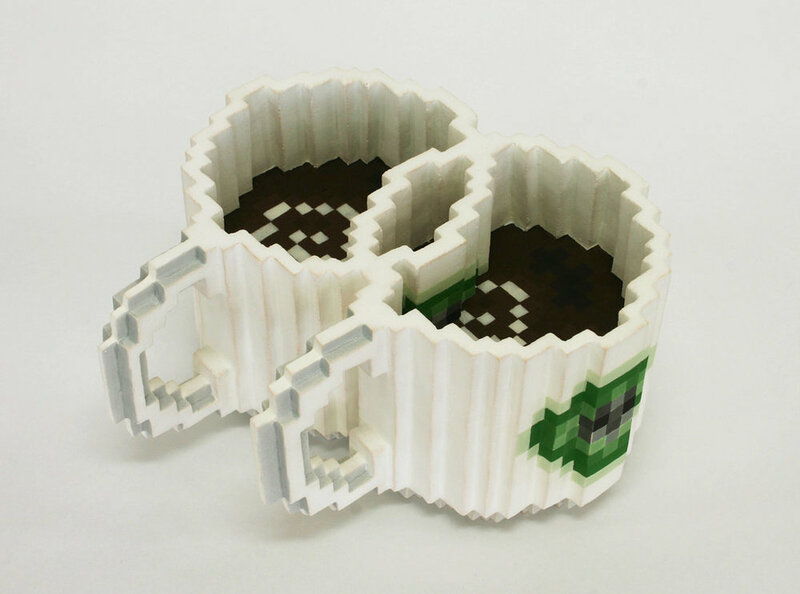 Using traditional materials and techniques to achieve a digital effect, Japanese artist Toshiya Masuda makes this cool ceramic pixel art. 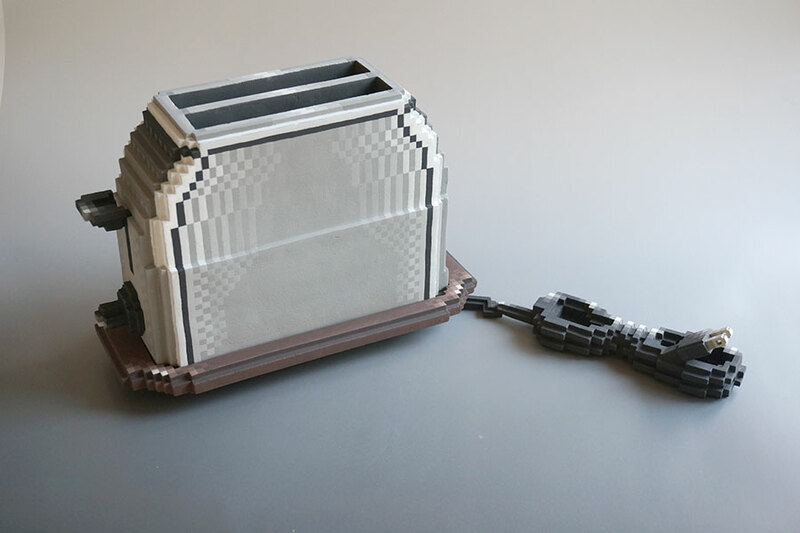 "Japanese artist Toshiya Masuda builds pixelated objects out of clay, piecing together sculptural tennis shoes, fried eggs, and baseballs that look as if they have been pulled directly from a video game. 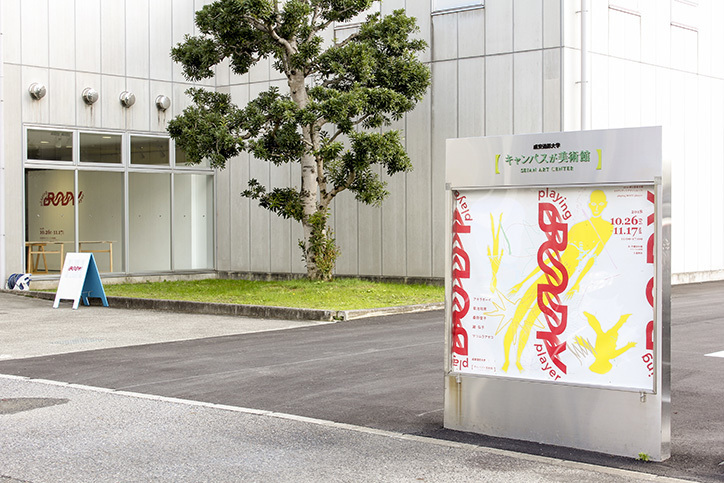 By designing his works to appear digital, Masuda provides a physical quality to computer or television-based images. 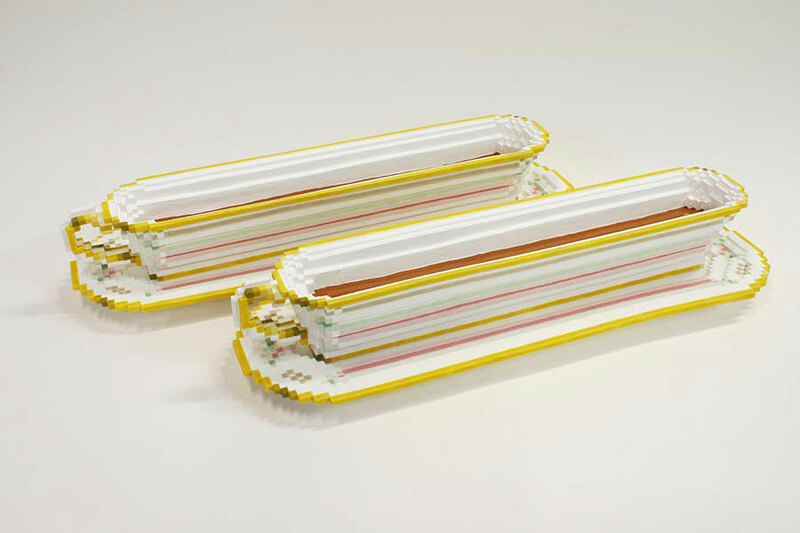 The combination of ceramics and digitized objects allows the artist to blur the line between what is real and virtual, an increasingly common experience in our present age." 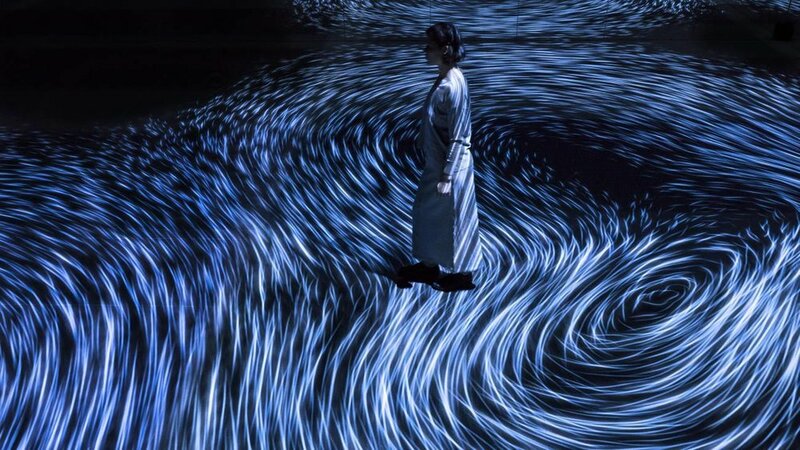 Nao Tokui is a Japanese media artist and DJ working on different projects researching soundscapes within visual systems. His latest "Imaginery Soundscape" web-based installation originally started as an exploration of how AI "imagines" a sound of any Google Street location using deep learning models. 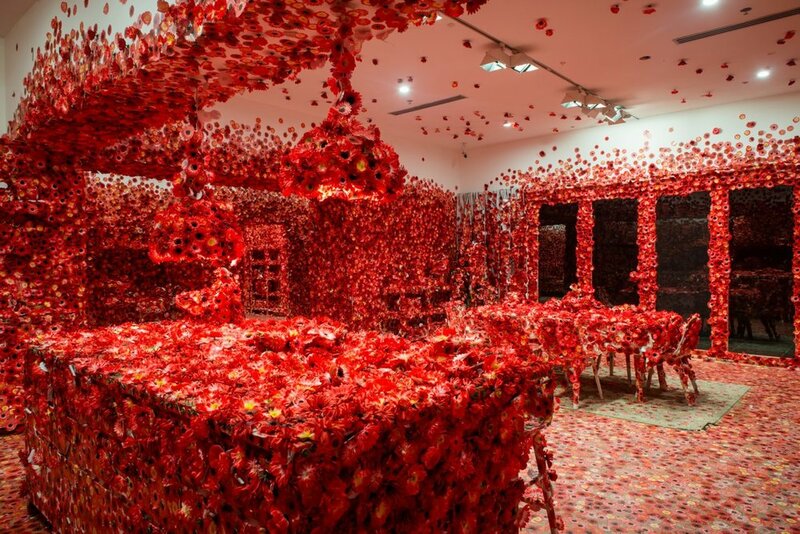 I saw the entire room, my entire body, and the entire universe covered with red flowers, and in that instant my soul was obliterated”, renowned Japanese artist Yayoi Kusama explains. This experience as a child informed her most recent work, ‘Flower Obsession’. 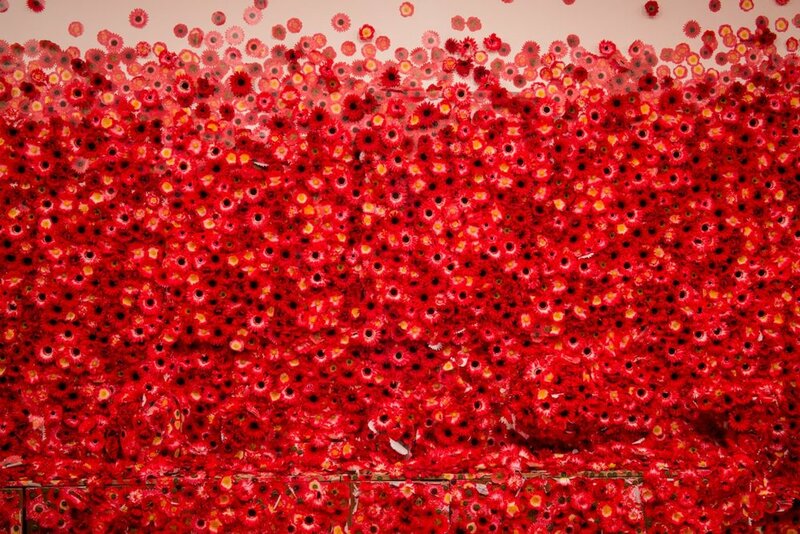 Commissioned for the National Gallery of Victoria’s inaugural Triennal, ‘Flower Obsession’ is an immersive installation that invites guests to “obliterate” a room with flower stickers — and in doing so, to enact Kusama’s childhood memory. 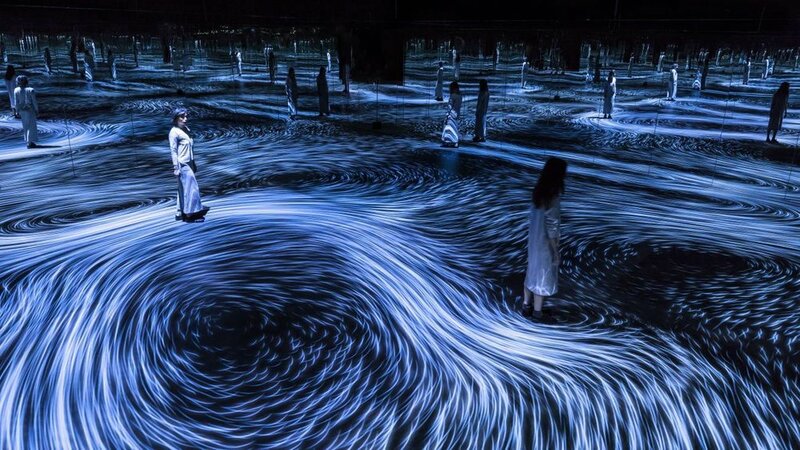 The Japanese design firm teamLab has announced a 2,000 square meter exhibition at La Villette, Paris. 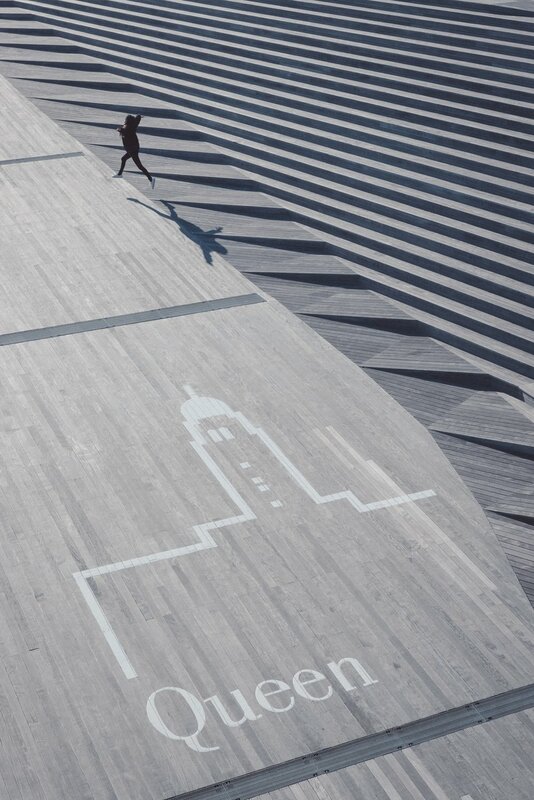 It plans on forming a vast space allowing visitors to interact with a digital world through their own bodies. 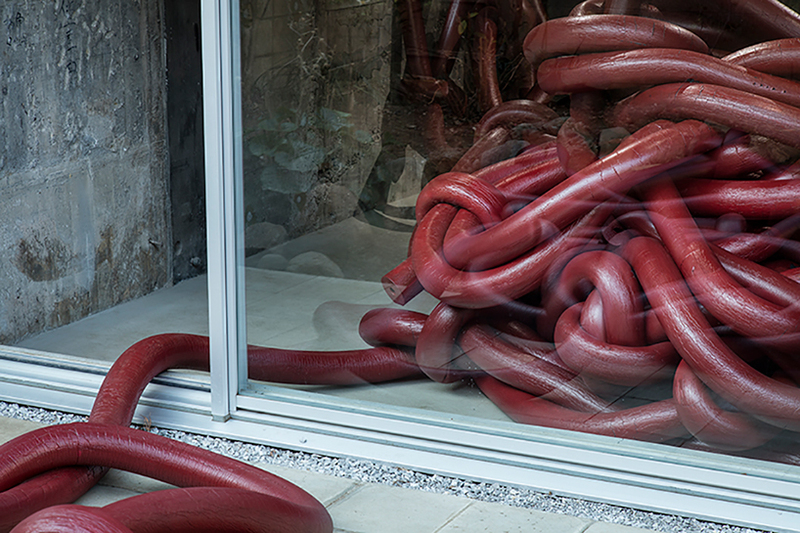 Named “”Au-Delà des Limites” or “Beyond the Limits,” the showcase blurs the lines of reality and creates multiple installations representing different realms. Visitors will be able to walk through virtual waterfalls and natural wonders. The presentation will be available from May 4 to September 4, launching right before Japonismes 2018, a cultural event marking the 160th anniversary of diplomatic relations between Japan and France. 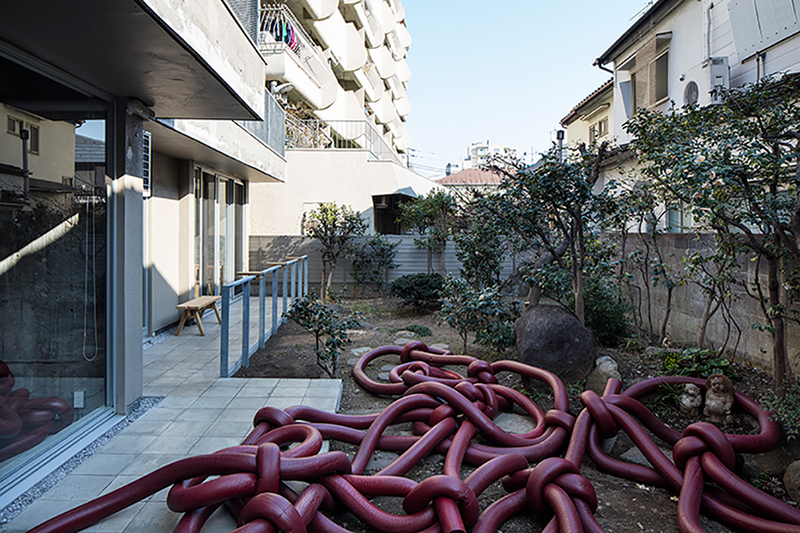 "In a deep-red homage to Anish Kapoor, artist Rikako Nagashima has tangled together HUMAN NATURE, an installation Kapoor’ish in scale, color and intention. HUMAN NATURE has been installed at two locations. 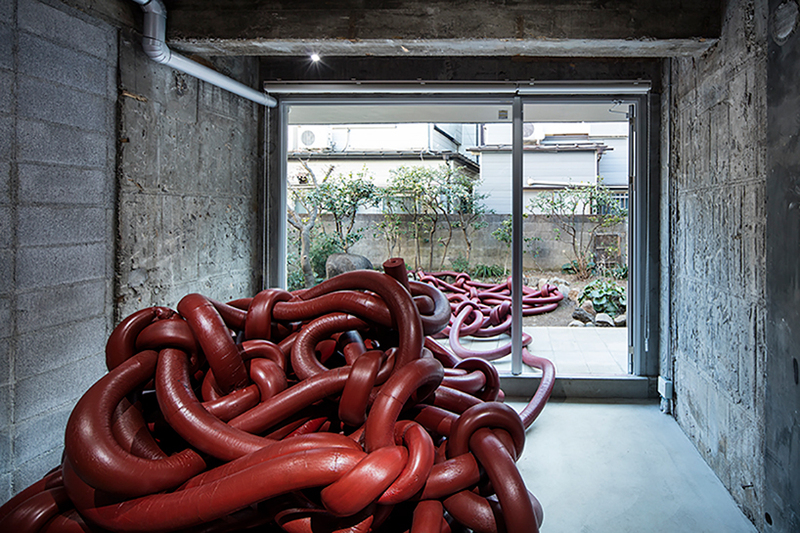 Her work has been suspended through multiple levels of Tokyo’s MVRDV-designed eye of Gyre gallery, and has consumed the life of a concrete clinic-turned-art-gallery by schemata architects in japan — the latter of which is pictured here, tied-together." 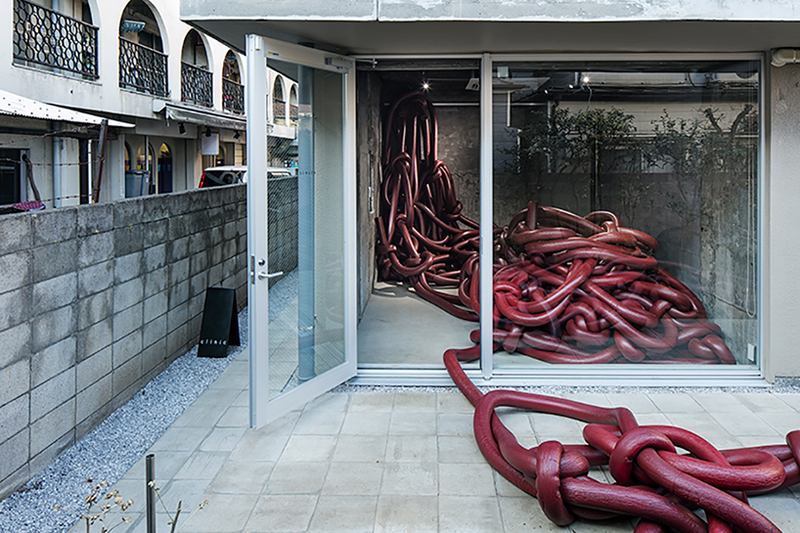 "Anish Kapoor is believed by many to be an artist devoted to dichotomy. 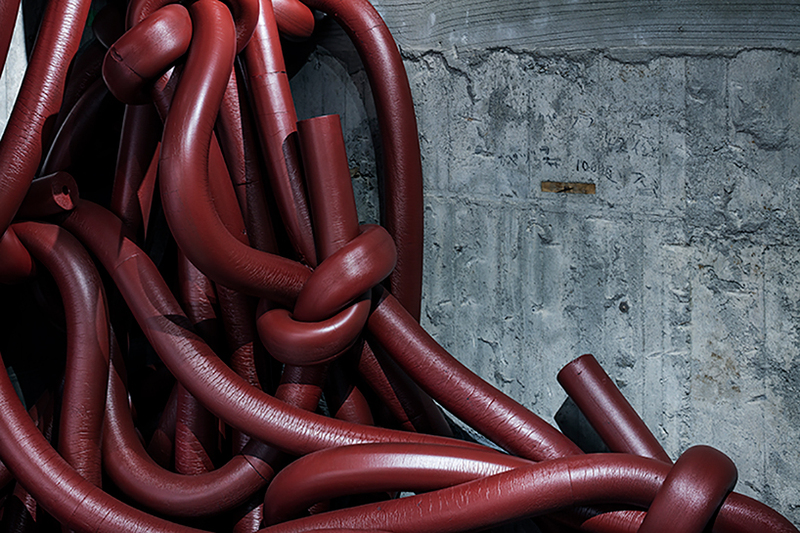 Blood, vortexes, voids — his works certainly convey paradoxes. Life, death, happiness, sorrow. they’re beautiful and ugly and they often tie into life and religions in india. 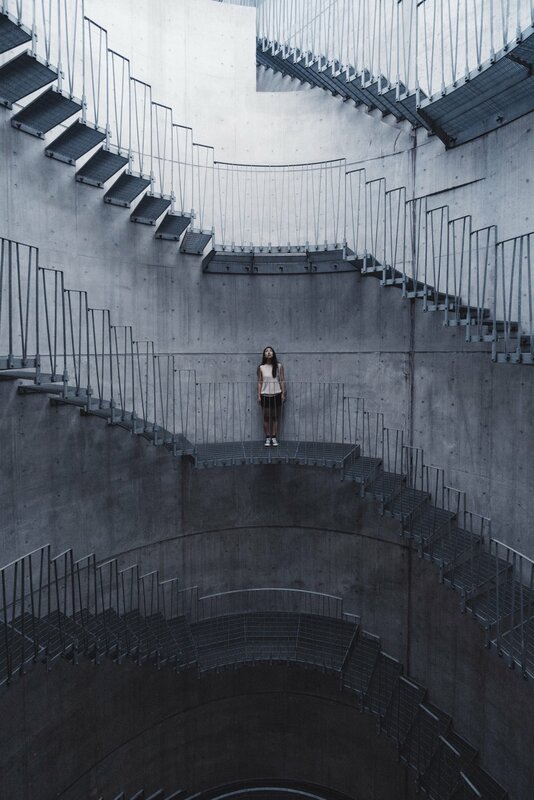 as such, Rikako seeks to create a dichotomy of her own — an homage that draws inspiration from kapoor’s artistic execution, and draws dichotomies from her own culture’s philosophy, Yin and Yang"
"Tokyo's overwhelming visual presence is an all-out assault on your senses offering a strong immersive cyberpunk experience. 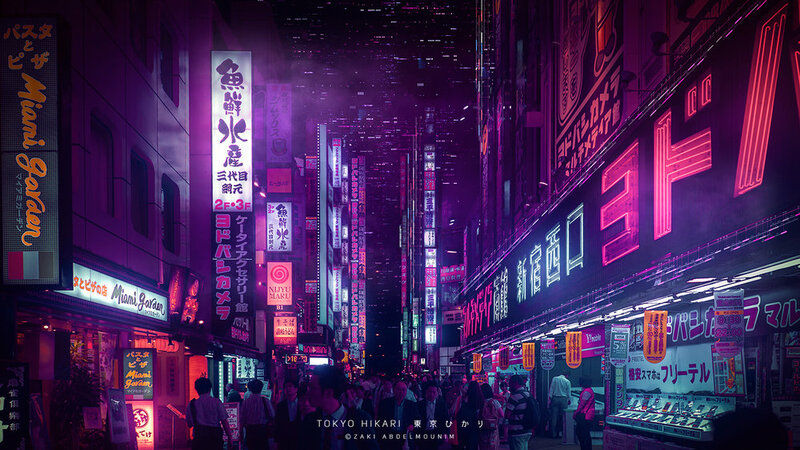 A lot to process and too much to take in from the flashing neon lights, the sounds of the busy streets and train stations, and the commercial signs of every building It's downright surreal and truly catches the spirit of what a cyberpunk city would look like. Easily getting lost offers an unmatched thrill and sense of discovery, but a certain follower emerges at night will keep your company during your stroll in the rain." "It's the "Talking Lights" in the labyrinth of alleys. The dimly-lit neon signs of hiragana and katakana trying to communicate with the fast-paced walkers bring a nostalgic air, and it's a beautiful sight to behold." Cody Ellingham (@cbje_tokyo) - a Tokyo-based art director and photographer. As Me Kyeoung Lee documenting the 20 years of conventional stores in Korea, his colleague of illustration world Mateusz Urbanowicz does it in Tokyo, Japan. While exploring the city, Mateusz was surprised to see the perseverance of older, more traditional architectures in spite of the city’s rapidly changing face and its international reputation as a sprawling metropolis. Knowing all too well how quickly these buildings could be replaced with more modern counterparts, the artist set about illustrating the endearing buildings in a series rich with color, personality, and history. "Shot around central and southern Japan / Okinawa, the series by Gabriella Achadinha shows day and night photographs of spaces and individuals that stood out from the time there. Marlize Eckard has added her touch by creating the ‘fleeting impermanence’ via acrylic paint with additional strokes that create the smudging, lapsing memory." Keiko Fukazawa is a ceramic artist who is born and grew up in Japan. 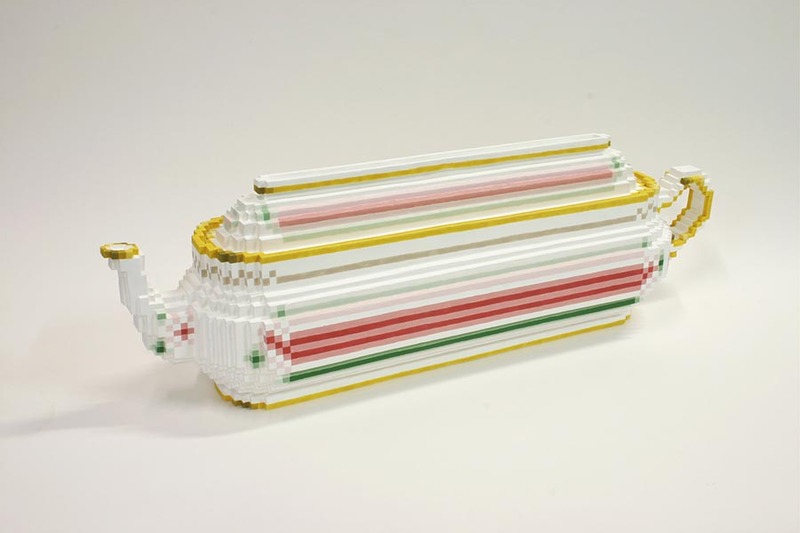 After spending 30 years in America, she dedicated her last three years in Jingdezhen, temple of porcelain since 1393.‘Made in China’ is a collection of playful works denouncing the effects of globalisation and consumerism in China.